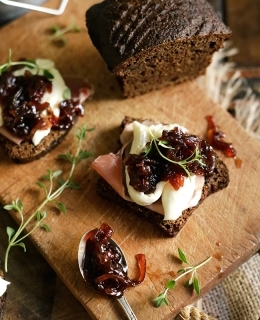 A prefect autumn appetizer. With fresh, full fat eastern Serbia cheese and grapes freshly picked from my friend’s vineyard. Strong and delicate at the same time. You’ll love it! Crumble the cheese, pour olive oil over, add estragon, stir carefully and let it marinate for about 30 minutes. Cut berries in halves and using a pointed knife or some other tool take out the seeds. Slice the berries in halves over the shorter side as that’s how you’ll be able to take out the seeds easily and not damage the fruit much. 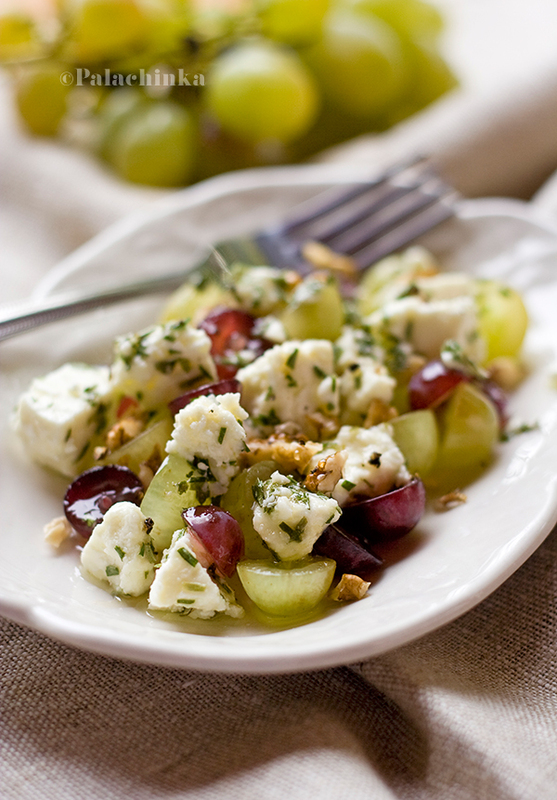 Combine cheese, walnuts and grapes, but be careful not to mush the cheese while you do it. Transfer into a plate and pour the remaining olive oil marinade over. Pour over the honey also and season with freshly ground black pepper. If you used salty cheese, you won’t need to add any salt to the salad. This is enough as a light appetizer for 2 people. Cheese can also be goat cheese, or cow milk cheese. 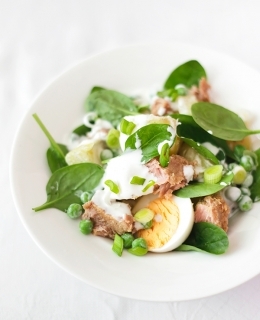 I’d say it’s important that it’s strong, and for those who love it, try the salad out with Gorgonzola. 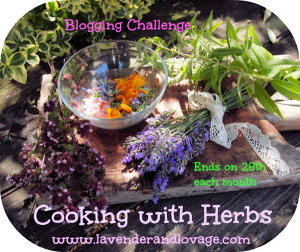 This post is part of Cooking with Herbs Challenge and Four Seasons Food hosted by Delicieux and Eat Your Veg. 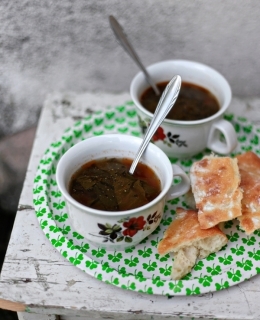 The recipe is also published in Mezze magazine, Oktober 2012. Definitely my type of grape season salad! This really does look absolutely delicious. I don’t think I’ve seen a soft sheeps milk cheese where I shop. Would I be able to substitute goats cheese or do you think it might be too strong? Yaaay!!! So happy you liked it!